Hi guys, Today i am introducing you a free internet data giving app called KickBit. 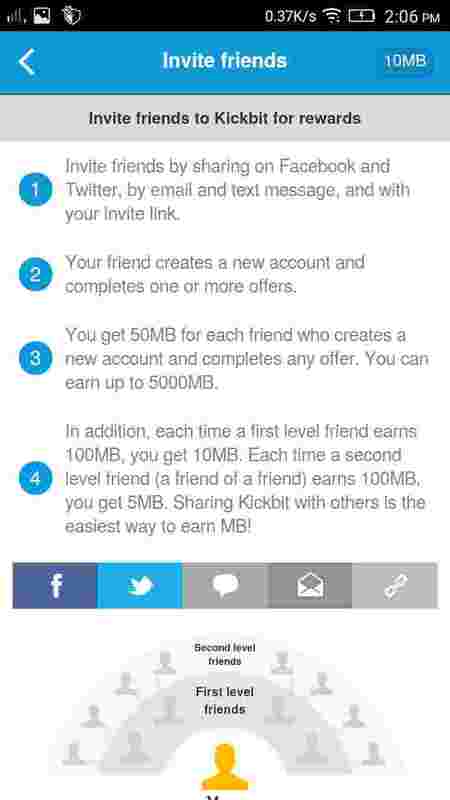 kickbit providing free internet 2g/3g data plans for free by doing some tasks and referring your friends to KickBit. They have various taks, just complete the tasks and earn maximum free data offers from KickBit. * Free extra 10MB when your referrer earn his first 100MB from kickbit. 5. Start referring your friends. For successful referrer you will get free 50Mb free data from KickBit. And when your referrer complete his 100MB earnings; you will get another free 10MB. 6. You need a minimum of 43 Mb to recharge your Free data balance to your number. 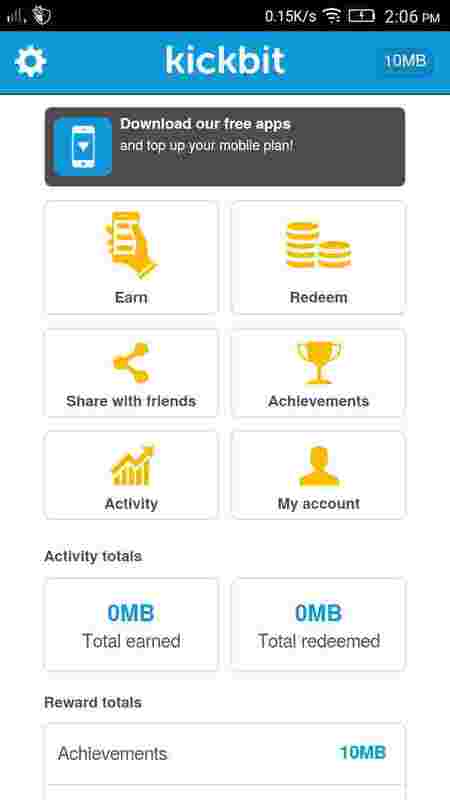 I hope you friends enjoyed reading this post, earn free data balance from kickbit app. start earning free data plans from kick bit. You can share your referral link below[as comment], if you are lucky then you will get free 50 mb from techintor visitors. Thank you….